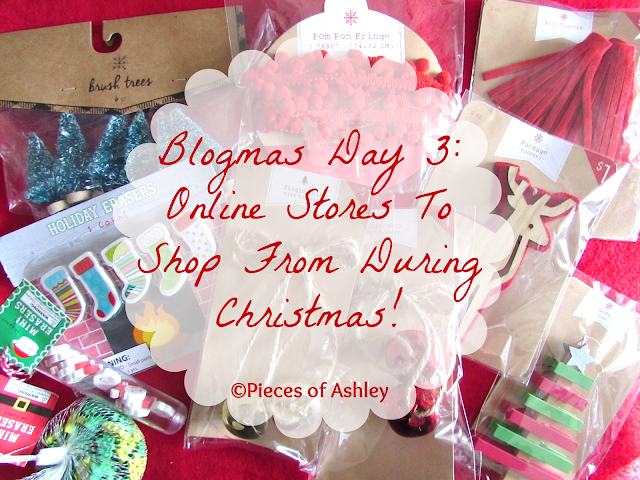 Blogmas Day 3: Online Stores To Shop From During Christmas! Shopping for the holidays can be difficult. Especially when everyone has the same idea. It can be stressful because people tend to get out of hand in the malls and other stores. I mean did you see how crazy it was on Black Friday? Although I do some shopping in the stores, it's nothing like shopping online. It's very convenient because you can shop from home, there's no crowds of people yelling and pushing, most of all you can take your time! So here's my list of stores that I like to shop from during Christmas time. Maybe you shop there too and if not maybe this post will change your mind. BH Cosmetics & Elf are my favorite places to shop online from, especially during the holidays. Not only do they offer deals and discounts but they are so affordable. Both brands have good quality prices and I rarely shop from any other place. However if I had to choose another store, it would be NYX Cosmetics. They do have affordable beauty products and I have shopped there, just not as often. Amazon, Walmart, Target, Forever 21 and Sears are great places shop. You can go to the physical store or make it easier and shop online. For Sears and Walmart, I like to shop for clothes. These places are affordable and they have a lot of cute clothes as well. Amazon I go to if I'm looking for movies or TV shows that I can't find anywhere else. Also if you have Amazon prime, they have two day free shipping! I don't have that, so I have to pay extra for shipping. Target I like to shop for stocking stuffers. Also Target sells a lot of little decorations. For example, if you making Christmas Cards or gift tags they have a lot of them in the front of the store! The cost is $1 to $3, that's not bad! Forever 21 has become a favorite store of mine. In a post I recently talked about their hair accessories I brought last year for Christmas. In the past I've also brought hats, beanies, scarves and clothes. They're awesome and worth it! For these stores (obviously not Amazon) I don't mind going to the actual store. If you're someone who's on a time crunch going to the store would be more convenient. Depending on how late you order online, your gifts or whatever you buy won't be there until after Christmas. So these are all of the places I love to shop at during the holidays. They have so many products/items and I'm pretty sure you could find anything you want. If you shop at any of these stores, let me know!